How Long Does Cardboard Take to Decompose? | Planet Paper Box Group Inc.
How Long Does Cardboard Take to Decompose? Cardboard is relatively biodegradable. Given time, microorganisms and other decomposers will break the fibers of the cardboard down and produce soil. The rate at which this happens depends on a number of factors, including the type of cardboard, the state of the cardboard at the beginning of the decomposition process and the nature of the surroundings. Heavily processed cardboard, such as juice or milk cartons, is coated with a wax or similar substance to prevent leakage. These will decompose, given about five years, but their resistance to water will significantly prolong the process. Corrugated cardboard will break down significantly more quickly. The farther along toward being “broken down” a piece of cardboard is when decomposition begins, the faster the process will be completed. Ripping or shredding a piece of cardboard and mixing these pieces with viable soil will result in much faster biodegradation. The more surface area the cardboard has exposed to water and biological decomposers, the more efficiently these decomposers can take the cardboard apart. Different environmental conditions will affect the decomposition process, notably moisture, heat and the presence of other biological materials. The wetter, the better — decomposing life forms thrive in moist soil. But no matter how wet, nothing will break down in complete sterility. There must be a thriving ecosystem within the soil itself to quickly decompose cardboard. 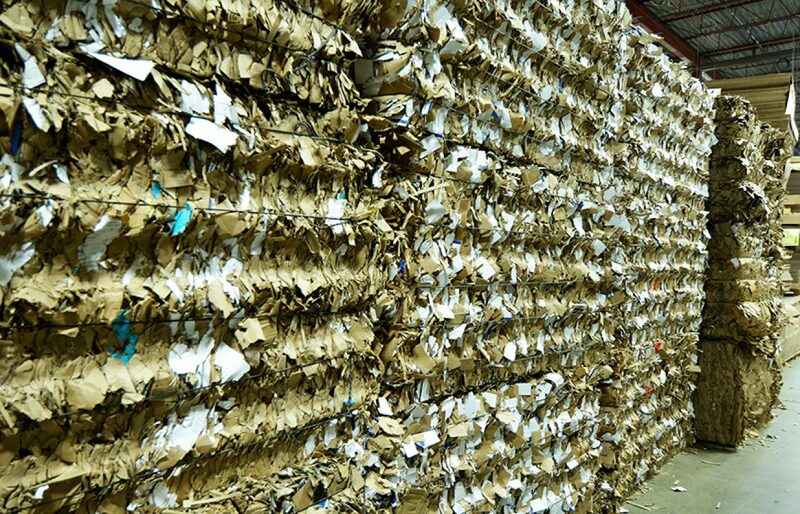 In inhospitable conditions — dry, removed from soil, cold or stacked tightly in sheets with little surface exposed to the elements — cardboard can remain undecomposed for years. Unless conditions are truly sterile, microorganisms will eventually work their way in and break it down, but this can be a very slow process. In more typical garden conditions — when a piece of cardboard is used as mulch or specifically shredded and soaked to decompose efficiently — biodegradation occurs quickly, with the majority of cardboard completely broken down within three months.